This one litre bottling of Jameson was released as part of their Deconstructed series, first launched back in 2016, which – with each bottling – casts an eye on a different crucial part of what makes Jameson Original Irish whiskey so fantastic. This series was originally a travel retail only release, but happily we’ve managed to get our hands on a few bottles. This particular expression is the “Round”, which focusses on the processes that polish the final Jameson product. As such it has experienced interesting cask maturations, with some former port and sherry casks used, alongside a virgin oak barrels. The resulting whiskey is rich, supple and chewy, with lovely fruity flavours. 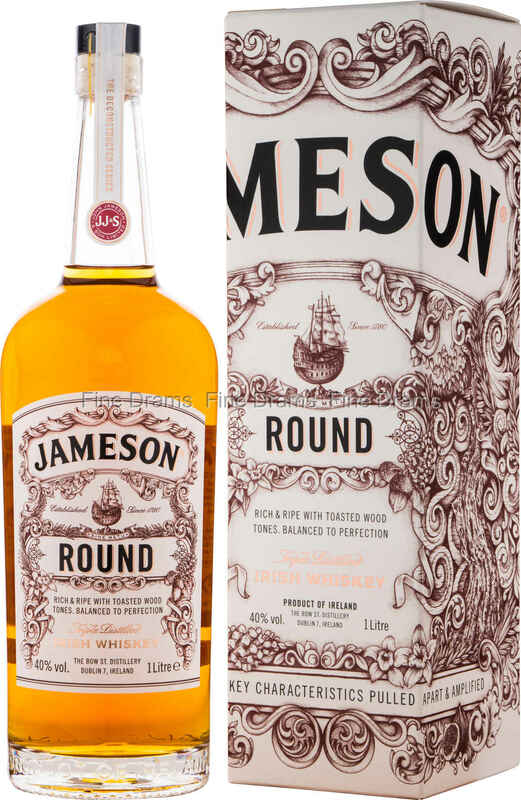 Certainly this is a well-rounded whiskey, that reveals the guile and artistry that goes into every bottle of Jameson.